Deep ruby-garnet color; cherry, berry fruits on the nose; plum, roasted tomato, redcurrant tang, blackberry, black cherry, raspberry, bite of mocha on the palate. Dry; nicely smooth and savory with excellent fruit after decanting. This is blend of 70% sangiovese, 15% sagrantino, 15% montepulciano; the first two varieties are traditional (and the 70% sangiovese is required) in Umbria, where this wine is made. 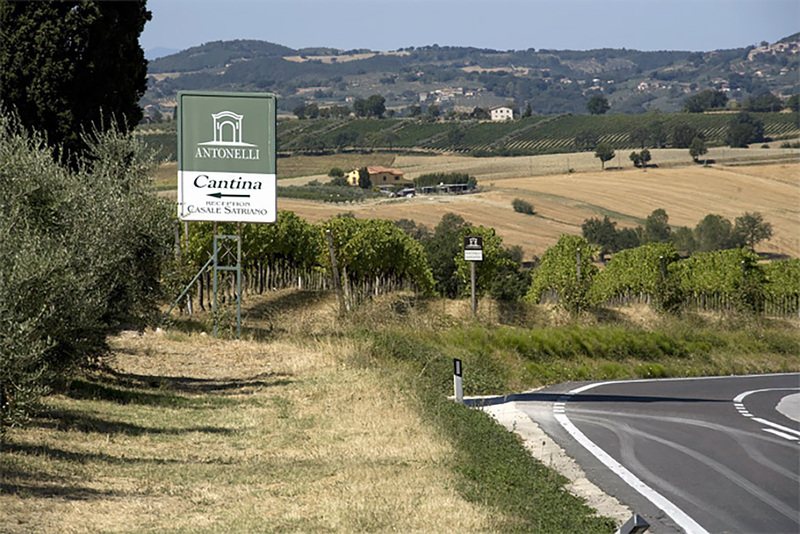 Sagrantino is notoriously tannic grape, and that comes through even when it is only 15% of the blend. This benefits greatly from decanting, which smooths out both the sangiovese and sagrantino. 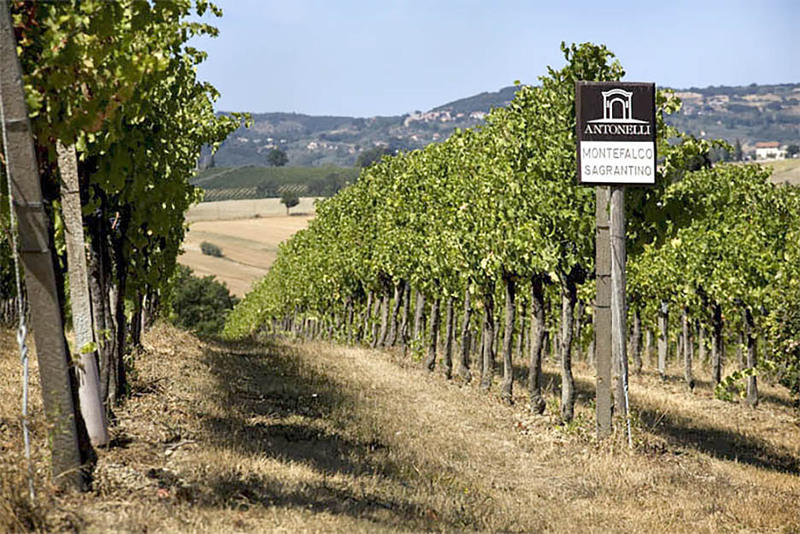 Sagrantino delivers the intense dark color, earthy spiciness, and tannin to complement the sangiovese, Italy’s most-planted red grape. 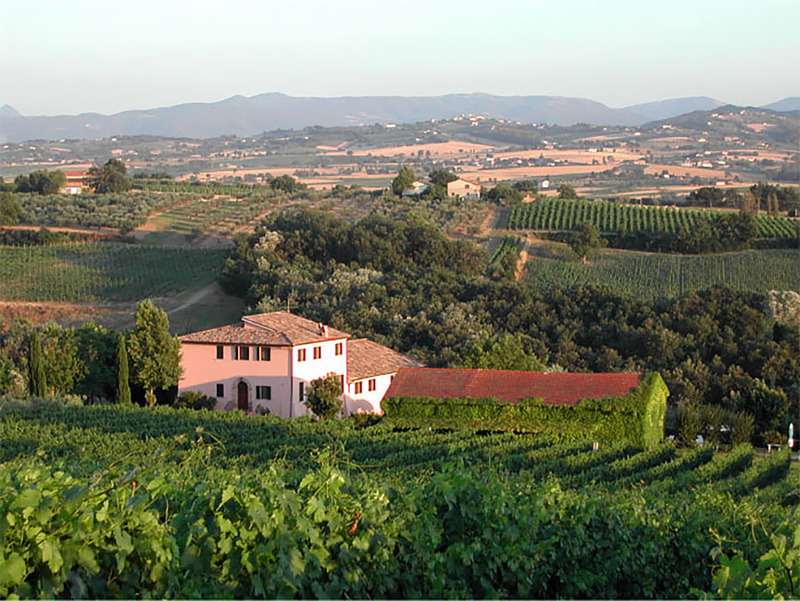 Montepulciano is the third grape here, but increasingly merlot plays the role in Umbria. 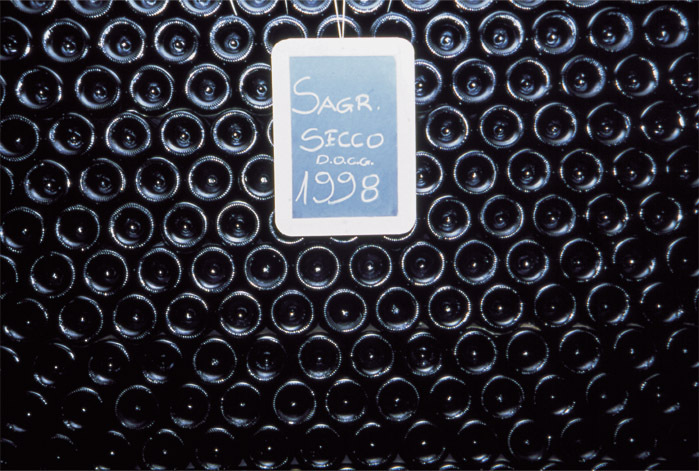 In both cases, the intention is to smooth off the austere edges of sangiovese and sagrantino and add fruitiness. Like so many blends—Bordeaux and GSM (grenache, syrah, mourvèdre) come immediately to mind—each component fills in part of the great wine puzzle. In this case, the overall effect is superb, especially considering the magnificent quality-for-price component. If you find this wine, buy it. 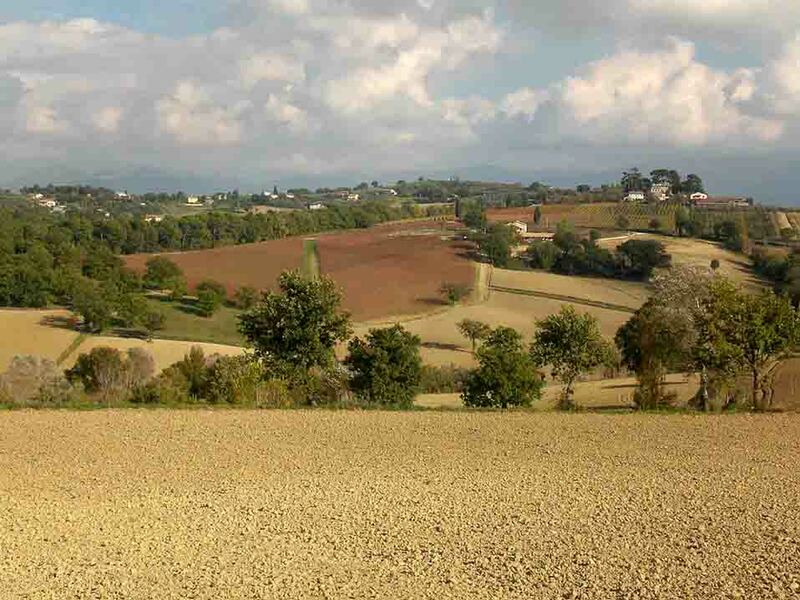 Umbria is located in central Italy and is the only Italian region that has neither a coastline or border with another country. 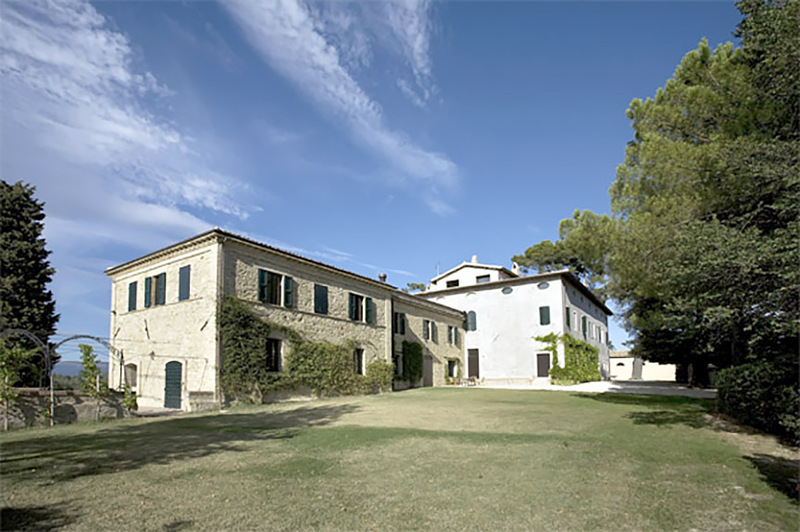 It is famous for its rosso di Montefalco (red of Montefalco). 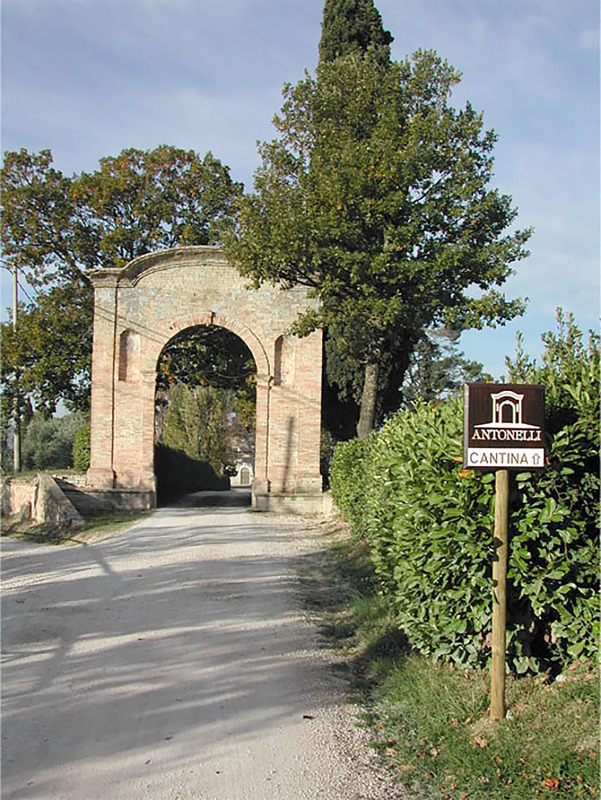 Montefalco is a town and commune in Umbria. 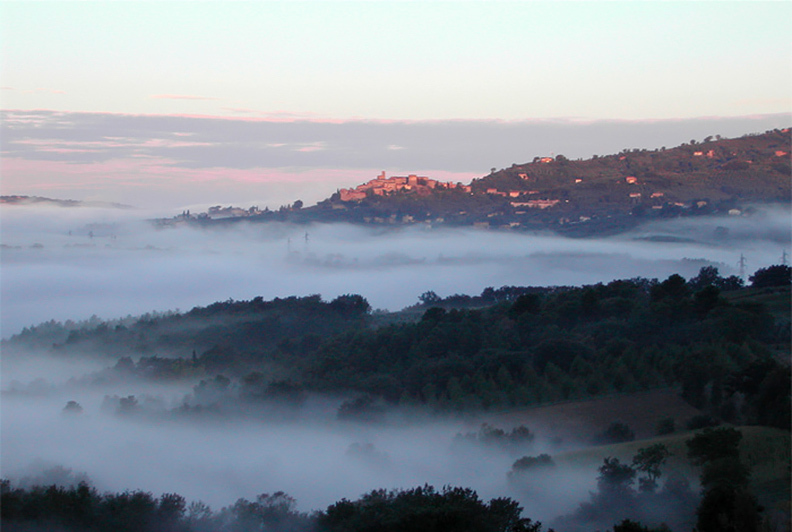 Sangrantino is indigenous to Umbria and almost all the sangrantino grapes in the world are grown around Montefalco. 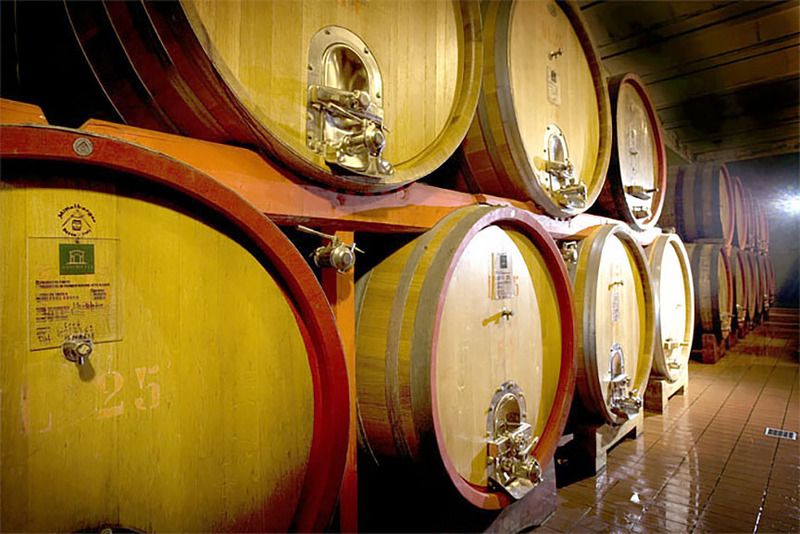 The grape has one of the highest tannic levels in the world of wine, which is why the montepulciano/merlot and sangiovese are blended. 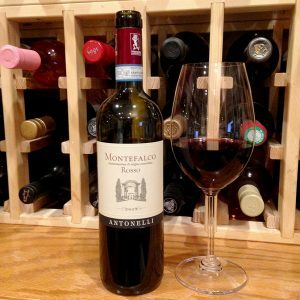 In some sense, Montefalco rosso is a sagrantino wine blended with the light body and high acidity of sangiovese and the smoothness of montepluciano/merlot.